Twenty-four hours a day, seven days a week, the Sayville Volunteer Fire Department is ready to protect you, your home and your loved ones in times of crisis. Volunteer Firefighters earn the respect of all members of the community. Train to be a firefighter and you’ll develop knowledge and skills few can claim. Some of the strongest social ties you’ll ever make will be with your brother and sister volunteers … people who share your commitment and ideals. 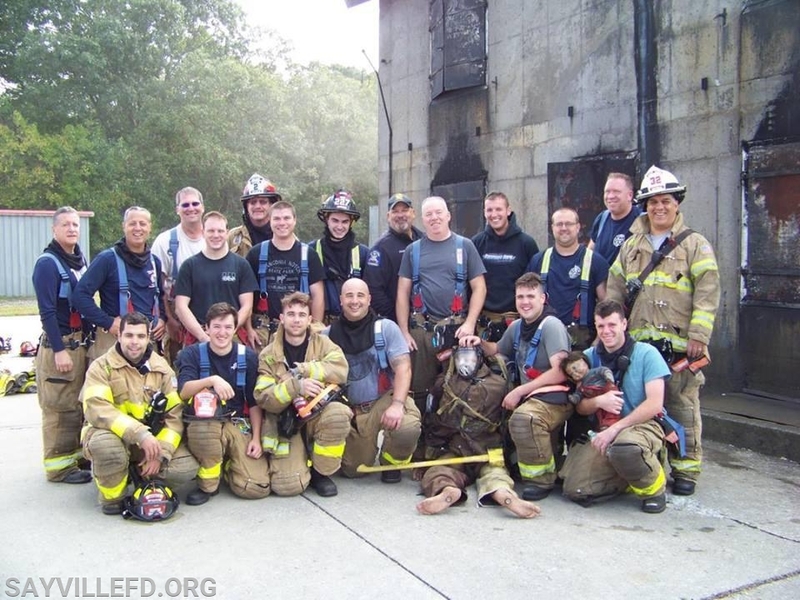 Pictured are some of the Officers and Members of the Sayville Fire Department after a morning of hands-on training. To learn more about becoming a member of the Sayville Fire Department – and for the young people of our community the CADET PROGRAM for any youth in the 6th grade and older – CLICK on “JOIN TODAY” above and fill out the membership application and you will immediately be contacted by a firefighter from our membership committee.